A consortium led by Cyrus West Field completed the first transatlantic telegraph cable after several unsuccessful attempts. It operated for less than a month. The spectrum of a comet was observed for the first time, by Giovanni Donati. K. Reinmuth discovered asteroid #955 Alstede. United Technologies fired a segmented solid propellant rocket engine which developed over 200,000 pounds of thrust, and contained the single largest piece of propellant made in the US to date. A segmented solid propellent Titan 3C rocket engine was fired 5 August 1961 by United Technology Corporation at Sunnyvale, California, generating over 200,000 pounds of thrust in an 80 second firing. Developed under NASA contract for the DynaSoar program, the center section of the engine contained over 55,000 pounds of propellant, the largest single piece manufactured to that date in the United States. The first quasar identification by radio was made during a Lunar occultation of radio source 3C273. A faint star-like object with a jet and unusual emission lines in its spectra was photographed at the position. 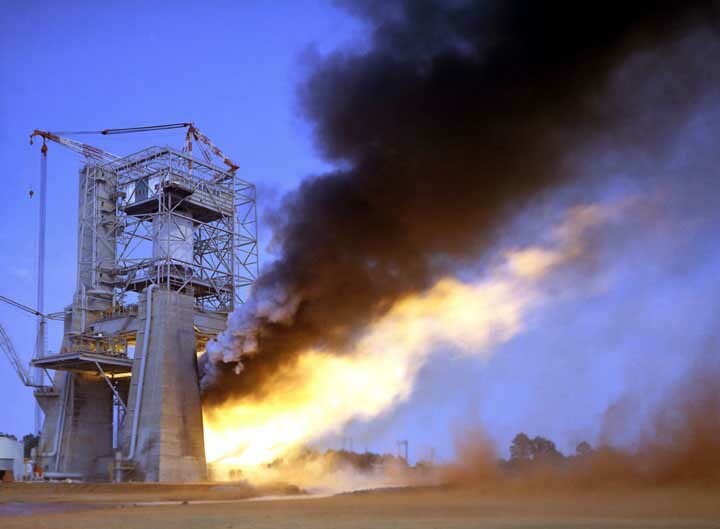 The first full duration ground test firing of the Saturn S-IC stage (the first stage of the Saturn V Moon rocket) was conducted at NASA's Marshall Space Flight Center. The Saturn V's first stage, the S-IC stage, made a "perfect" full duration static firing by burning for the programmed 2.5 minutes at its full 33,360 kilonewton (7.5 million pound) thrust in a test conducted at NASA's Marshall Space Flight Center on 5 August 1965. The test model demonstrated its steering capability on command from the blockhouse after 100 seconds had elapsed. The test consumed 2.133 million liters (537,000 gallons) of kerosene and liquid oxygen. NASA's Lunar Orbiter 5 went into orbit around the Moon. NASA's Mariner 7 flew by Mars at a distance of 3430 km. During the 39m Apollo 15-6 EVA, astronaut Alfred Worden made the first deep space EVA, retrieving film cartridges from the Service Module. 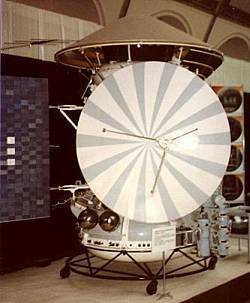 USSR launched the Mars 6 atmospheric probe, the first spacecraft to return data from Mars' atmosphere. ESA's HEOS A2 probe re-entered the atmosphere. H. L. Giclas discovered asteroid #2118 Flagstaff. E. Bowell discovered asteroid #3402 Wisdom. Space Services, Inc attempted to launch its Percheron low cost orbital launch vehicle from Matagorda Island, but the vehicle exploded on the launch pad due to liquid oxygen tank overpressurization. Space Services, Inc of Houston, Texas, attempted to launch its Percheron low cost orbital launch vehicle from Matagorda Island on 5 August 1981. However, failure of a liquid oxygen valve led to over-pressurization of the oxidizer tank, collapse of the liquid oxygen to kerosene tank bulkhead; intermixing of the propellants, and an on-pad explosion, without a lift-off. The vehicle was built by GCH, Inc (Gary C. Hudson), and featured a modular design using liquid oxygen-kerosene stages 18 meters long and 1.2 meters in diameter, with an engine producing 27,300 kgf of thrust. Following failure of this first test, the satellite launch project sank for lack of further investors and customers. USSR launched Cosmos 1487, a maneuverable Resurs high resolution photo surveillance satellite which returned a film capsule. It also performed Earth resource tasks, which were officially its primary duties. NASDA (National Space Development Agency of Japan) launched Sakura 2B from Tanegashima, for domestic satellite communications and development of commsat technology, which was positioned in geosynchronous orbit at 136 deg E 1983-1989, 128 deg E 1989-1990. China launched the FSW-0 No. 9 (PRC 20) Fanhui Shi Weixing recoverable satellite on a Chang Zheng 2C booster from Jiuquan which carried microgravity experiments. The return capsule was recovered on 10 August after five days in space. China launched the FSW-1 No. 2 (PRC 23) recoverable satellite on a Chang Zheng 2C (Long March) booster from Jiuquan with a German crystal growth experiment in its recoverable capsule. The experiment's results were marred by a hard landing. South Korea's Mugunghwa 1 (Koreasat 1) communications satellite was launched from Cape Canaveral, Florida into geosynchronous orbit. South Korea's Mugunghwa 1 (Koreasat 1) communications satellite was launched 5 August 1995 from Cape Canaveral, Florida, on a Delta 7925 which suffered a first stage solid rocket motor (SRM) failure. It carried 15 Ku-band transponders to provide TV coverage for South Korea and other Asian countries. The satellite had to be boosted into geosynchronous orbit by the satellite's thrusters following the Delta failure that left the satellite in low Earth orbit. The unplanned use of satellite propellant in the launch cut the usable satellite lifetime by approximately 50 percent. Mugunghwa 1 was positioned in geosynchronous orbit at 116 deg E 1995-1999. As of 5 September 2001, it was at 47.22 deg E drifting 0.022 deg E per day. Russia launched Soyuz TM-26 from Baikonur for Mir Expedition EO-24. Soyuz TM-26 was a Russian spacecraft which ferried cosmonauts and supplies to the Mir space station. It was launched on 5 August 1998 by a Soyuz-U rocket from Baikonur cosmodrome as Mir Expedition EO-24. The main mission was to transport two specially trained cosmonauts, Anatoliy Solovyov and Pavel Vinogradov, to repair or salvage the troubled space station. Soyuz TM-26 docked with Mir on 7 August under manual control. Over the next six months, the crew undertook seven internal and external spacewalks to repair the crippled space station. They repaired the power cable and harness/connectors in the severely damaged SPEKTR module and restored much of the lost power. They also repaired and replaced the oxygen generators in Mir. The hole(s) in the SPEKTR module which caused total depressurization of the station could not be located during their "space walk" inside that module. Repairing or replacing the segments of the solar panels on SPEKTR and sealing the hole(s) was delayed until later missions. Solovyov and Vinogradov, together with French astronaut Eyharts (launched aboard Soyuz TM-27), undocked from the forward port on Mir at 05:52 GMT on 19 February 1998, fired their deorbit engines at 08:16 GMT, and landed in Kazakstan at 50 deg 11 N, 67 deg 31 E the same day.